So, you aspire to work as a plumber. Before you begin casting about for plumber training, you need to know what this trade might require from you, the jobs you will have to perform and the skills you ought to have. What jobs does a plumber have to do? 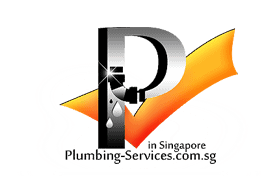 The job description of a plumber will have putting in place, repairing and looking after plumbing systems. Usually, you will need to look after cold water, steam, heat, sewage and drainage systems. This will be domestic, commercial and industrial plumbing systems. You will have to inspect sinks, heaters, pumps, tanks, valves, pipes, joints and commodes to decide what’s broken or malfunctioning, in order that you get to repair or replace them as necessary. You have able to read drawing, scheme and blueprint to figuring out of layout system, and learn location pipe connection and other fixture. Trading almost going to require dealings with selections of specialist plumbing tools, like threading disk, pipe cutters, reamers. You have to know that you might end up working in dim lighting, small spaces, dirty spaces, big heights, toxic materials (for example, acid), and you will end up drenched in hot and freezing water on many occasions. In addition, as well as the physical skills you’ll need in order to do the job, you will also need to learn the legal requirements of plumbing; you must study safety regulations, and to make sure that your work answers all the necessary legal requirements. What other skills may you need to have to be a great plumber? The job description of a plumber is sure to need a mix of a quick brain and physical skills. Your hands will get dirty, and you must be okay with this fact. A head for heights will also be required, plus the ability to lift and carry heavy stuff. You ought to be able to climb into tiny spaces and do your job there, for example, in little basements, under sinks and behind dishwashers. 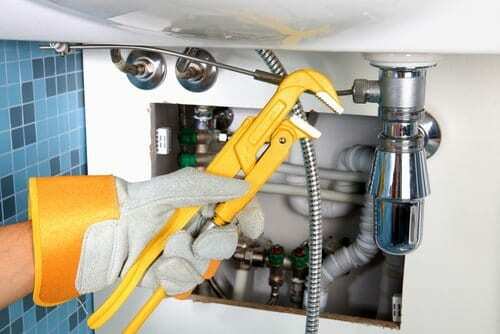 You’ll have to have a skill to use lots of tools safely and properly, so being good with your hands in general is required for any wannabe plumber. As well as the above, you’ve got to have a good ability and initiative to solve problems: trust me, it will come in useful when you’re stuffed under a sink with freezing water gushing in your face. You’ll need to be quite flexible, as there are lots of plumbing systems you will have to know. A sound judgement and a mind which is open to creative solutions will also reflect well on you. Above all, you’ll have to have good habits in your job, be completely honest and totally professional, because your reputation with clients will make or break your plumbing career. Plumbers also need great analytical problem solving skills, be good at math, outstanding mechanical skills, and the ability to get along with and work well with people. There will be many times when a customer might be difficult and they need to have the skills to deal with the situation in a professional manner. If they decide to go into business for themselves they will also need some business training and the willingness to handle a great amount of paperwork. If you become a plumber you will be required to install and repair all the residential, commercial, and industrial systems that use pipes such as drain systems, gas systems, and water pipe systems. In addition you will install, repair, and maintain bathtubs, showers, sinks, toilets, dishwashers, water heaters, among other common fixtures and appliances such as furnaces and refrigerators. Becoming a plumber also comes with some risks such as cuts from sharp tools, burns from hot pipes/soldering equipment, and falling from ladders. If after reading the above, you still think you have the requirements to become a plumber there are years of training you will need to go through. One avenue to become a plumber is to enrol in a vocational school or community college that offers a diploma program to allow you to gain entry-level experience in the plumbing field. Then you apply for an apprenticeship where you will work under a Master Plumber. A typical apprenticeship will last about four to five years and will require 144 hours of classroom instruction each year. Then you can apply to your state to take a licensing exam to obtain your plumbing license. Every state, city, and county will have unique licensing requirements. So far there is no national unified certification for plumbers. Then you can decide if you want to work for an established plumbing company or start your own plumbing business. If you decide to start your own business some business classes can be helpful especially if you live in a competitive area. How Can You Become a Licensed Plumber? In order to apply for your license, you must have worked as an apprentice to a master plumber for at least three years. During these three or more years, you should have in excess of 300 hours of theory work. It’s also required that you take a plumber’s license exam and pass. You have at least eighteen years old in order to take the exam. What Other Skills Will You Need to Become a Plumber? – You should be able to read and understand technical documentation and diagrams. – You should have good dexterity and understand basic mathematics. – You will have to prove that you have an aptitude for mechanical tasks, and that you are comfortable using various work tools. 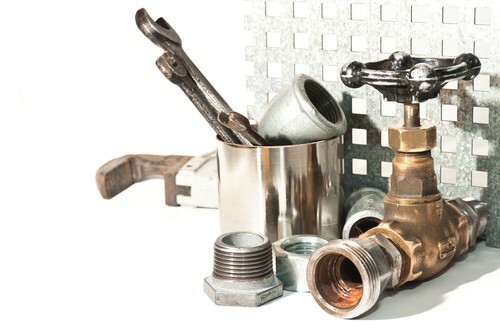 – You must demonstrate your efficiency with many different types of materials and equipment are used in plumbing. – Good communication skills are needed, since you need to relate well to your customers. – You have in good physical shape, since much of the job requires lifting heavy objects. – You should be able to work comfortable unsupervised. A lot of this probably sounds daunting, but if you really want to become a plumber, and have an interest in the industry, you shouldn’t have any problems with learning. Providing you have the capability to learn the skills you need, you will be able to successfully pass the exam. These skills are in high demand. There are always job opportunities available in this field, so you can expect job security if you become a plumber. You just need to keep up with all of the latest developments, since the tools and equipment used in the plumbing industry are becoming more advanced.